Custom Labels Printing | Data Graphics Inc. 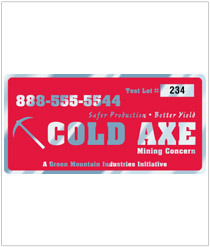 Custom Labels Printing | Data Graphics Inc. 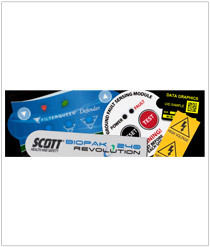 When it comes time to choose custom industrial labels, don’t sell yourself short with a company that only has the talent and technology to give you a few options. 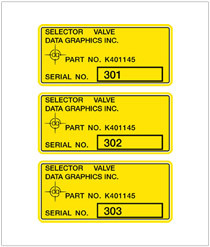 Take advantage of Data Graphics’ versatility and more than 30 years of experience. We print all types of labels and we have a full-service art department onsite at our newly remodeled production facility with the skills and state-of-the-art technology to deliver a quality custom label. Other printing companies can rarely match the versatility and precision of Data Graphics. We can print your label on a variety of media using many different techniques. 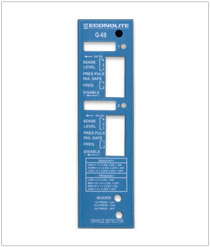 We can even die cut your labels into any shape needed. 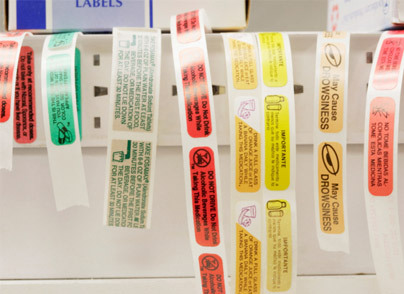 Our labels have been used to carry trademark or barcode information into some of the most challenging and demanding work environments imaginable. 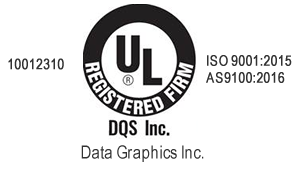 We can manufacture your labels to the rigorous MIL-STD-130 standards for U.S. Department of Defense contractors or to the specifications of the ISO 9001:2008 and AS9100 quality standards. 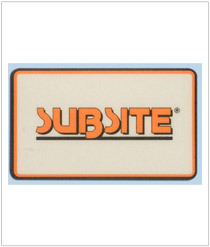 The way you print custom industrial labels can make a brand. Pick up a nicely packaged product or look at a piece of equipment and you get immersed in the entire experience. The custom label you see just seems to fit with the rest of the product design. It doesn’t call attention to itself. That’s what we do. 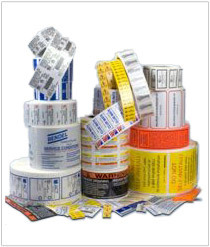 We print custom industrial labels for a variety of purposes using many different materials that blend right into thousands of brands you see every day. 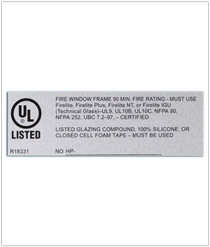 Not every company wants you to know how important our custom industrial labels are to their success. But we know. 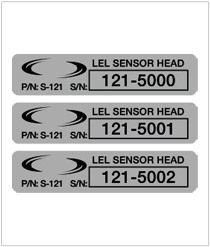 Our long-term customers have used us to produce product-identification labels, barcode labels, UL labels, control panel overlays, nameplates, inventory control tags, compliance labels, and hazardous material or warning labels. 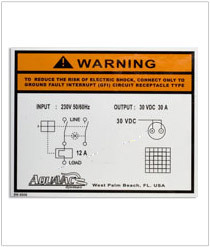 We offer specialized printing options to ensure that your Data Graphics labels survive every environment, whether it includes intense cold or heat, saltwater, ultraviolet light exposure, corrosive chemicals, scuffing or frequent impacts with other objects. 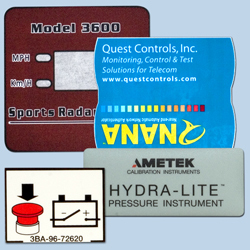 Not every custom label printer can offer all these printing services and options for industrial labels, but not every label printer has our more than 30 years of experience. We also continually invest in our company to expand our label offerings. This includes our $1 million renovation in 2013 that saw us upgrade our facilities and equipment. Whatever custom label challenges you face, reach out to one of our experienced Sales Engineers for a solution. We’ll work with you to develop a label perfectly suited to your specifications and requirements. Our efficient production methods and cutting-edge technology will ensure expedited service and timely delivery when needed. 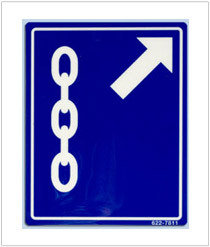 Our commitment is to provide our customers with the best label and the best customer service. 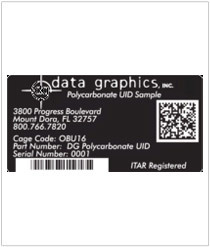 Data Graphics wants to partner with your company and be your custom label printer. See why our long-term customers trust our talented printing team and more than 30 years of industry experience to produce custom labels that perform great in every situation.